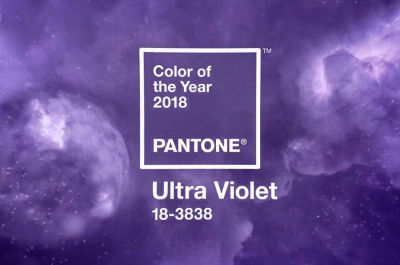 CARLSTADT, New Jersey – Pantone, a provider of professional colour language standards and digital solutions, has announced Ultra Violet (Pantone 18-3838) as its Colour of the Year for 2018, describing it as a dramatically provocative and thoughtful purple shade that communicates originality, ingenuity, and visionary thinking that points towards the future. She described Ultra Violet as complex and contemplative and suggestive of the mysteries of the cosmos, the intrigue of what lies ahead, and the discoveries beyond where we are now. “The vast and limitless night sky is symbolic of what is possible and continues to inspire the desire to pursue a world beyond our own,” she said. “The Pantone Colour of the Year has come to mean so much more than ‘what’s trending’ in the world of design; it’s truly a reflection of what’s needed in our world today,” added Laurie Pressman, vice president of the Pantone Color Institute. “As individuals around the world become more fascinated with color and realize its ability to convey deep messages and meanings, designers and brands should feel empowered to use color to inspire and influence. “The Colour of the Year is one moment in time that provides strategic direction for the world of trend and design, reflecting the Pantone Color Institute’s year-round work doing the same for designers and brands,” she added. When it comes to home décor, the institute said Ultra Violet can transform a room into one of extraordinary self-expression, or conversely its polish can tone down a room with subdued, modern pairings.